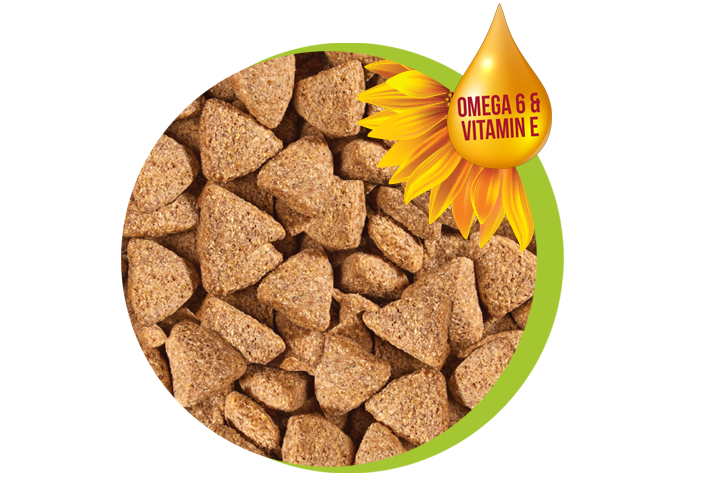 Vitagen® dry dog food contains all the essential vitamins, minerals, proteins and omega-6 fatty acids your dog needs for a healthy coat, keen senses and strong bones. Did we mention that it’s also DELISH? OPTIMUM NUTRITION FOR PUPPY POWER! Vitagen® puppy is specifically formulated to support your puppy’s growing body, mental development and unique energy needs. Vitagen® for large breeds dogs is packed with essential vitamins, minerals, fatty acids and anti-oxidants to ensure your adult dog remains active and healthy. Senior dogs have less energy requirements. Vitagen® senior dog food contains less fat to keep your older companion in tip-top shape! 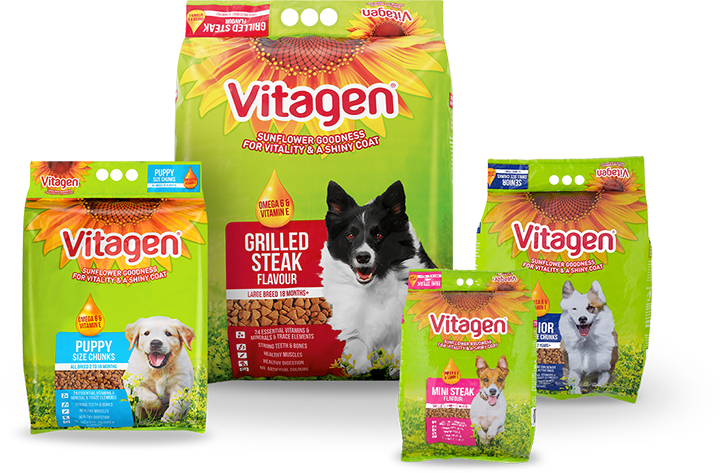 The holistic Vitagen® dry dog food range contains essential vitamins, minerals and proteins, formulated to meet the nutritional needs of playful puppies, adult dogs, as well as senior dogs of all breeds and sizes. Dogs can’t naturally produce fatty acids, but luckily Vitagen® has your four-legged friend covered. A wonderful source of Omega-6 fatty acid, as well as Vitamin E, Vitagen® will keep your dog’’s skin moisturized, heart healthy and provide energy!